Something I have found very helpful in my life is just to recognise that we are capable of learning new things. We may think that the best we can do is to cope with situations and circumstances, but we can also deal with them positively, effectively. That kind of attitude, I think, is very important. I’m not talking about exaggerating a situation, but of just being realistic about it. If we use our minds, we can make things better. After all, we are human beings and we have a great capacity for doing things. Generally, we under-use or misuse our minds, and a lot of our energy simply goes into copying other people, just mimicking them. In consequence, we often get a sense of failure because we cannot satisfactorily copy what others do. My point is, it is important not to forget we are human beings. We have capabilities which other beings don’t have, internally and externally. In some sense, therefore, we are greatly advantaged compared to other beings. And we need to remind ourselves of that fact, of just how fortunate we are. Then those unpleasant feelings we might get, that kind of mind which says, `I’m useless! I’m nothing!’ or whatever, just won’t arise. This is a big problem in our society, and it shows just how we forget our human values and human potential. In the west in particular, however, there is a culture which I find quite amazing. For example, some time ago I heard about a lady aged about ninety-one or ninety-two who had started to take French lessons. I was astounded! There she was in her nineties and wanted to learn another language. I thought that was really marvellous. She wanted to use this human life as much as possible. She wasn’t just saying, `Oh, now I’m too old.’ She really wanted to use her mind, which means that, inside, she saw that she could learn, and she wanted to. That sort of thing is very important, and particularly so when it comes to dharma practice. We can give time to the mind, really wanting to make it better and better. This is a kind of grasping, but there is nothing wrong in wanting to make life better, not in this dharma context. At least it is going in the direction of dharma, so I don’t mind! In terms of dharma, therefore, learning new things won’t harm us. It won’t harm us and it won’t take up any space. We can do it as much as we like. What is important, however, is to try to connect what we learn with our hearts. We can do that. The question is how much time we give to it. If we give the time, we can put things together. I find it is very important to constantly remind ourselves that we are human beings, we are capable of learning new things, and we can make things better whatever the situation is. At least we can try. And we can also ask others for help. I don’t see anything wrong in asking for help when we have problems. There is nothing to be ashamed of or embarrassed about in that, is there? I would now like to refer again to this idea of the pyramid regarding morality (shila), wisdom, and meditation (or concentration). If you physically want to build a pyramid, the base must be very strong. If it is too weak, the sides will be unstable. So, the more we develop wisdom and meditation, the more we need ethical practice (shila), because that is the base. If there isn’t that firm ethical base, the wisdom we develop might be very intellectual. It won’t be from the heart. The same with meditation. It might be pure meditation or concentration (shamatha), but without the ethical base, there will be no substance to it. The mind can be focused on one thing—on the body, the breath, or whatever—without there being any obstacles like distraction or dullness. The clarity might be there, as well as the stability, but just that alone is not that an amazing thing. To a certain extent, it is amazing, but in terms of dealing with those emotions which bring pain and difficulties, just having that kind of concentration is not going to be very effective. Ethical behaviour is definitely needed. Now, as mentioned previously, ethical behaviour is related to others. The more we think about the feelings of others, the better will be our ethical practice. And that is needed, if only for our own sakes, if only to be able to love ourselves. It is difficult to have that genuine feeling of love towards oneself without taking the feelings of other beings into consideration. Also, in order to love ourselves, we have to understand that we are in this conditioned existence. Buddha said that our lives have three characteristics—suffering, impermanence, and self cannot be found as something independent. Without that understanding, love towards oneself might simply be attachment. If it’s attachment, then love towards others is definitely attachment. There is no doubt about that. In order to love oneself, therefore, these three characteristics must be acknowledged. Our lives are subject to suffering. We all face problems and difficulties, no matter how clever we are, no matter how rich we are, no matter how wise we are. Everyone’s life has its ups and downs. That is what the Buddha said. He wasn’t saying we must feel suffering. Not at all. He was simply advising us to understand it. In our daily lives we don’t know what is going to happen next, and yet when unexpected things do occur, we might experience a big shock, and we don’t know what to do. On the other hand, if we predict that anything may happen, when it does, at least we won’t be so shocked. We might even be in a position to do something about it, or make things a bit easier. In that sense, it is very helpful to understand what the Buddha meant when he said that our lives are subject to suffering, change, and impermanence. Our lives are changing all the time. They do so whether we like it or not. Some of you might not like to hear that your lives are changing, but they are naturally moving forward. It is very important to remind ourselves of that. There isn’t anything within this existence which is independent of the body, emotions, wisdom, or whatever. If we really understand this, then love towards oneself will be pure and can be easily directed to others. This isn’t just fantasising. There is this kind of mental development, and there are people who have the heart, the mind, to consider more than just their own needs. If there are people like that, can we be the same? It is a matter of learning to be. We need to turn our minds in that direction, and then we won’t be thinking constantly of `me’ alone, but also of other beings. There is a feeling which we all share. What is it? It is a kind of nudging feeling, the feeling that things are not quite right. No matter what kind of lifestyle we lead, there is the sense that something is not right. It is a universal feeling. Sometimes at Jamyang I jokingly suggest that everyone should go and stand in front of the nearest London tube station and then be questioned: Do you have that nudging feeling now? I guarantee that 99% will say yes. Maybe 1% will say, `No! I’m perfect,’ but maybe those people would need to think more deeply! According to Buddhism, therefore, it is very important to understand that whatever feelings other people have, you also share those same feelings. It will help us to understand others, if we realise we all have the same feelings. I am not relating this to how much money you have in the bank, or what kind of car you drive—no, it is a fundamental feeling that I am talking about. That is the key to understanding other beings. My best friends have that feeling and so does that person I dislike. In that sense, my best friend and the person I dislike are equal. Although I have different connections with people superficially, therefore, basically everyone is the same. I think that this kind of understanding will help to really open our hearts. I would like to talk again about wisdom, the wisdom which is supported by ethical behaviour. Why do we need that kind of wisdom? Because it will help us to avoid undesirable or unethical things. For example, if we take the five precepts, we can keep those precepts for a day or maybe for several weeks, but the potential is there to go back on them all the time. Just avoiding doing things is not enough. Idle gossip, for example, although not a really heavy unwholesome activity, will eat into our time, and time is very valuable—particularly in the west where `time is money!’ So, if we spend time gossiping, it will damage our economy! For the spiritual practitioner, it is even worse than that. Right at the beginning the Buddha spoke about impermanence, which means: Don’t waste time! When we take the precepts, therefore, we can avoid doing those things for one day, twenty-four hours, but the potential is still there to do them, isn’t it? Likewise with all negative habits. We can avoid being angry maybe for twenty-four hours or a week. We can really concentrate and think, `I won’t be angry! I won’t! I won’t!’, but the potential is there, and just avoiding anger is not enough. So what do we need to do? We need to look at where the anger is coming from—the root. In order to deal with the root, however, we need wisdom. Meditation alone won’t take us that far, it won’t get to the root. Wisdom, combined with meditation and ethical behaviour, will take us there. My point here is that, in order to feel compassion towards ourselves, we need to understand our own situation. Maybe at the present we are relatively calm, relatively kind, relatively all of these things, but the potential is there for the opposite. With that understanding, we should feel love or compassion towards ourselves. Once we can do that for ourselves, we can extend it to others because they are in the same situation. Then there is a chance to feel what Buddhism calls compassion, real compassion. Not just discriminated compassion, or partial compassion, but the real compassion without any conditioning. Questioner: I am very interested in what you are saying, but it seems to me it is much easier to feel compassion towards others than it is towards oneself. Do you think the reason for that is because in our society people have low self-esteem and there is a more general sense of despair? If so, how would one overcome that? Geshe Tashi: Tonight Dr John Peacock is going to talk about self-respect. Now, if there is a lack of self-respect, then there is all these possibilities for low self-esteem, self-denial, and so forth. All those things are possible. But I think this problem of not feeling compassion towards oneself while you can do so for others, might not only be because of the culture. I think it might be because one hasn’t gone deeply into the meaning of compassion towards others, of what that actually is. You say, `Okay, I feel it is easier to have compassion for others,’ but what is that compassionate mind which you feel? You need to look at that. Moving towards this connection between oneself and others, I find the following is a nice example: Somebody has some chocolate and he wants to tease some children with it. The children are aged between two and four. The man says to them, `You can have this chocolate if you run from here to there.’ Immediately, they start running because they really want that chocolate. When they get to the other end, however, the man says, `No. I’m not going to give it to you.’ How would you feel about that? You might think, `Oh, I wish he’d given the children that chocolate.’ Love is that sort of feeling. We are in the situation, deep down, of wanting happiness, but there are difficulties to overcome. We attempt to get passed those difficulties by trying out all possible solutions. From time to time progress is made. From time to time it isn’t. It is like those children who are being teased with the chocolate, and we feel, `Oh, I wish I could get that happiness.’ That is the stage at which we need to develop love towards ourselves. We can have that genuine happiness, the happiness which won’t change, it is not just a wish. This is not just some kind of idealistic imagining, it is very possible. We want genuine happiness, and we can develop the feeling that we deserve it. Then we can move towards having compassion for others. If we really do feel compassion for others, there is no doubt we must also feel compassion towards ourselves because that nudging feeling is the same. Of course all of us have slightly different lifestyles. I’m not talking about it being the same in that sense. We have different backgrounds and, superficially, different problems, but these can be sorted out without dharma knowledge. However, in order to sort out that deep nudging feeling which all share—from the Queen to someone living on street—we definitely need dharma knowledge, dharma understanding. Compassion or love must be based on that feeling, then it won’t be attachment. When I was living in the monastery in India, the conditions there in the early days were very poor indeed. Compared to that time, I now have a much better standard of living, yet there is still that nudging feeling. I have come to the west where the standard of living is amazing for me, but still there is that feeling. That is the point. Compassion must develop from that understanding, then it will extend to all sentient beings. The understanding of this feeling will also sort out many of our daily fears. We may be afraid, for example, that somebody will take our jobs. Yes, of course, my job is connected to my survival and it is important. Without it, I won’t have the money to pay my bills and that will be worrying. If I really get a deep understanding, however, then that fundamental equality will be seen. Yes, that person who has taken my job will be happier for a few weeks or months, but after that, who knows? Life is very uncertain, and the happiness of simply getting my job won’t sort out that deep, nudging feeling for that person—that will still be there. I, who have lost my job, will probably have some superficial fear and worry, but it won’t add any more discontentment to the nudging feeling that lies deep inside. This nudging feeling is usually referred to as `the nature of samsara’, but I like this English interpretation of `nudging feeling’. To me, it is like something knocking. The word `nudging’, therefore, seems just right. It is good to remind ourselves of this feeling, and then we can take the initiative to do something about it. Otherwise, this feeling might simply continue in our lives from beginning to end. 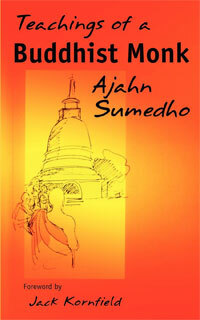 And, according to Buddhism, in the next life we shall find ourselves in the same situation. Questioner: Can we really overcome that feeling? Geshe Tashi: If you are asking me whether I really know, I can only say I don’t have that experience. However, those who have a better understanding than me, and the Buddha of course, they say there is an end to it. So, at least we have to try it. That is the point. Questioner: Well, that feeling is certainly there, and it is the spur to develop whatever. I am just afraid I will never manage to get rid of it because of my laziness. 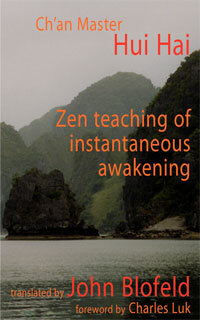 Geshe Tashi: I often say we should think of our dharma practice as a hobby. Meditation, learning new things, developing wisdom, living life in an ethical way—if these things are taken as a hobby, I don’t think you need have any fear about being lazy. A few years ago, I was travelling from Norwich to London and became fascinated by what I saw from the train window. It must have been about 8 o’clock in the morning in December or January and it was cold and wet, but there were some people out there playing golf. I thought, `They’re mad!’ Nevertheless, they looked very happy and enthusiastic and there was no sign of laziness among them whatsoever. Such an attitude changes everything. If our dharma practice is a hobby, there won’t be any laziness. 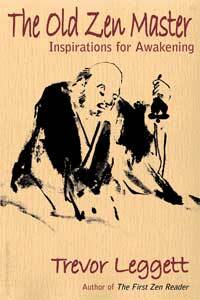 Questioner: How does the idea of impermanence apply to the truth, to the dharma? I mean, surely, that isn’t impermanent? Surely, that is the one thing that is permanent. Geshe Tashi: Truth—this is a very ambiguous word. It really depends in what context you are using it. For example, a seed will bring flowers. That is true, isn’t it? But still there is a changing process involved in that. The seed turns into a sprout, and the sprout produces the flower. That is a changing process, but still there is a certain degree of truth in it. The nature of impermanence, therefore, or the understanding of impermanence, won’t change the truth. From a talk given at the August 2000 Buddhist Publishing Group Summer School. 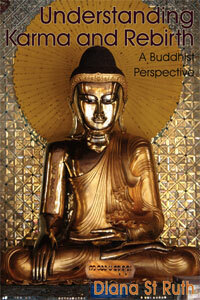 First published in the May 2001 Buddhism Now.